Using a human rights approach, the book analyses the dynamics in the application of minority policies for the preservation of cultural and linguistic diversity in Russia. Despite Russia’s legacy of ethno-cultural and linguistic pluralism, the book argues that the Putin leadership’s overwhelming statism and promotion of Russian patriotism are inexorably leading to a reduction of Russia’s diversity. 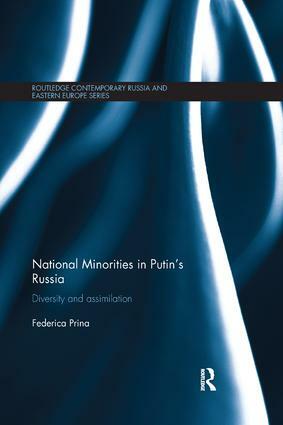 Using scores of interviews with representatives of national minorities, civil society, public officials and academics, the book highlights the reasons why Russian law and policies, as well as international standards on minority rights, are ill-equipped to withstand the centralising drive toward ever greater uniformity. While minority policies are fragmented and feeble in contemporary Russia, they are also centrally conceived, which is exacerbated by a growing democratic deficit under Putin. Crucially, in today’s Russia informal practices and networks are frequently utilised rather than formal channels in the sphere of diversity management. Informal practices, the book argues, can at times favour minorities, yet they more frequently disadvantage them and create the conditions for the co-optation of leaders of minority groups. A dilution of diversity, the book suggests, is not only resulting in the loss of Russia’s rich cultural heritage but is also impairing the peaceful coexistence of the individuals and groups that make up Russian society. Federica Prina is a Research Associate at the School of Social and Political Sciences, University of Glasgow, UK.